Thanksgiving is always a time to look back on our lives and be thankful for all that has been provided to us. We’re thankful for the memories we’ve created with the families and friends we have. We’re thankful for the delicious food we will never be able to eat enough of. We’re thankful for the traditions that may or may not have been created on purpose! Here are some of the memories and traditions our staff is most thankful for! The Clemson v. Carolina game! It is always a fun way to kick of Thanksgiving weekend! What are some of your favorite traditions or memories from Thanksgiving? I am a Greenville transplant. I have lived in Charlotte, Winston-Salem and Virginia. I am a Wake Forest graduate – “Go Deacs!” I am married to a phenomenal husband with two fabulous children and an adorable Springer Spaniel, Molly. I enjoy reading, traveling, spending time with family, cooking, hiking and camping. I have been a recruiter at Godshall for nine years, focusing on healthcare, insurance and marketing industries. 1. How did you get into recruiting? 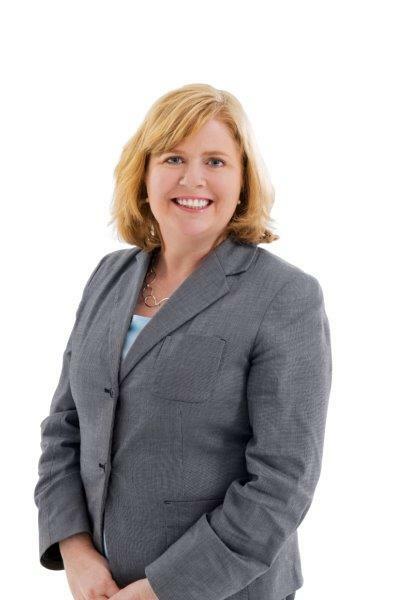 – When I decided Greenville was where I wanted to settle, I was told by multiple people, “You HAVE to meet Julie Godshall Brown!” With 13 years of experience in marketing and customer relations, she thankfully felt recruiting would be a natural fit! 2. You staff for medical and marketing. How did you break into those fields? What do you enjoy most about each? Prior to Godshall, I did marketing in Charlotte, NC for commercial real estate and a large radiology practice. The knowledge I’ve obtained in these fields has helped me tremendously in penetrating the healthcare field and expanding our presence in the market by becoming an expert in the skills and needs for these positions. I love both industries for different reasons. Healthcare employees are some of the most wonderful people you can meet. They have so much passion for their profession. The market is fast moving and people are hungry to find the right fit. I feel like I am in the trenches with the office managers in trying to develop a strong team for their practice. Being a marketing professional, it is a natural fit for me to want to work in creative environments. The candidates are so unique and professional, and the employers are innovative and continue to impress me with the way they remain leaders in the market. 3. What is your favorite part about recruiting? It may sound cheesy, but we change people’s lives. We’ve assisted new graduates in their first career and helped people trying to get back on their feet after troubled times, especially after the recession. When I make that perfect match, I try to stay in touch and see where people are 5 years later. It always brings a smile to my face to learn they are still happy and enjoying their job. 4. What are the top 4 traits you look for when interviewing? 1. Ambition – Hunger to work and work hard! It surprises me daily how often I don’t feel this from my interviewees. 2. Pride – Someone who takes pride in their success! 3. Communication – As an English major, I am always impressed with good articulators. Be prepared to articulate your job history and your professional goals. If I can’t understand your experience and desires, how can I recommend you to our clients with confidence? 4. Personality – Be positive! People want someone on their team they can connect with in a positive way. 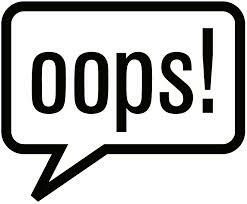 However, you do want to be careful with this and read your interviewer – show your personality but remain professional! 5. If you could give advice to those looking for a job, what would it be? 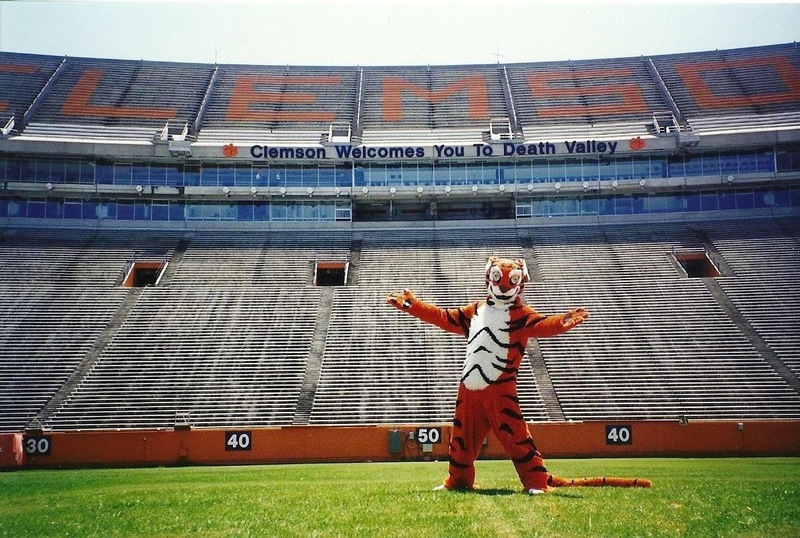 Have you ever been to a Clemson University sporting event and seen their mascot, the Tiger? Ever wondered what it’s like to be in that suit? Michael Bays knows! 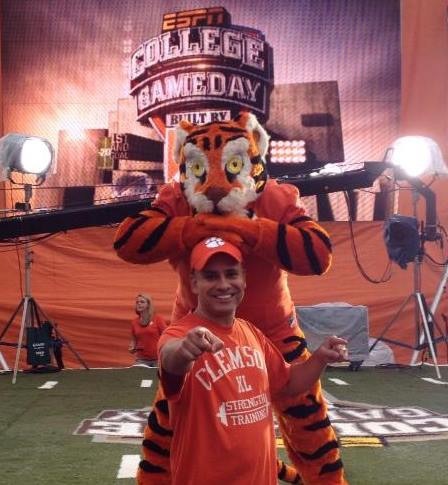 He was the Clemson Tiger back in the early 90’s. He has been with Godshall for 4 years now, after working as the Director of HR at another company for the previous 5 years. 1. How did you discover Clemson University? Being from Pennsylvania, people have a hard time understanding how I came down to the South. My sister was accepted to Clemson and played in the marching band, so as good families do, we planned 3 trips a year to watch her march at Clemson games. Of course, I was hooked after experiencing their spirit, the great weather, and all the football traditions! It was unreal! 2. How did you become the Clemson Tiger? I got a job moving equipment for the Tiger Band my freshman year and was able to meet the current mascot at that time. We became friends and he let me put on the suit and work a baseball game. I decided to go to tryouts in the Spring and was offered the job. We had to put together a skit, perform at a baseball game, do push-ups and interview with prior mascots. 3. 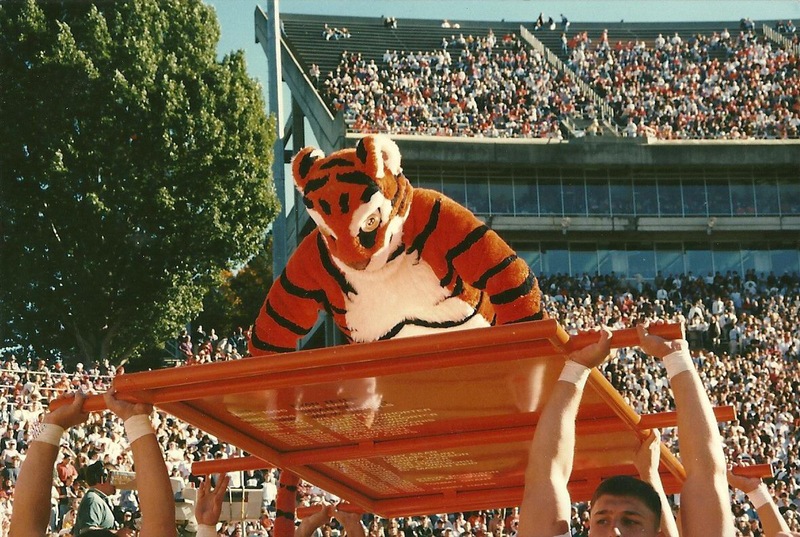 What was life like as the Clemson Tiger? I was very honored to be the Goodwill Ambassador for the school, traveling across our state for appearances as well as having the best view for every sporting event. There were times when I would fly in a private plane to IPTAY meetings with our coaches or drive miles upon miles to be at various events. There is only 1 student out of 18,000 enrolled that gets to experience college the way I did. I got to do this for 3 years! I still have the career push-up record for football games! 4. What was your favorite thing about being the Clemson Tiger? Smiling faces! It’s amazing how people let their guard down when you approach them in the suit. People hug you, high five you, and parents even throw their newborns in your arms for pictures! There is no better feeling than making someone’s day. You get to do this all of the time! Once you are a Tiger at Clemson, you are always the Tiger. People still introduce me as “The Tiger” to their friends. 5. What are some of your greatest memories as the Tiger? Too many things to name! • I once switched outfits with USC’s “Cocky” at an appearance. It was amazing how people loved me just a few moments ago, but hated me the next. • I used to march on the field during the opposing team band’s half time show. • I loved showing up to classes as The Tiger unannounced. • Once I had my roommate dress up as the Tiger for a Halloween Party at a friend’s house and I arrived with him in a ball cap and a hoodie where nobody recognized me. All of my friends were approaching him and talking to him as “Mike” thinking it was me in the suit. At this point, I took off my hat and hoodie and shocked everyone who knew I was the Tiger. My roommate stayed in the suit and in character all night! 6. 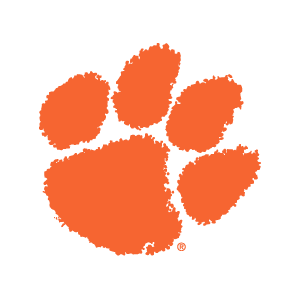 Any advice or tips you would give to future Clemson Tigers? Were you ever the Tiger while you were at Clemson? We’d love for you to share your stories!